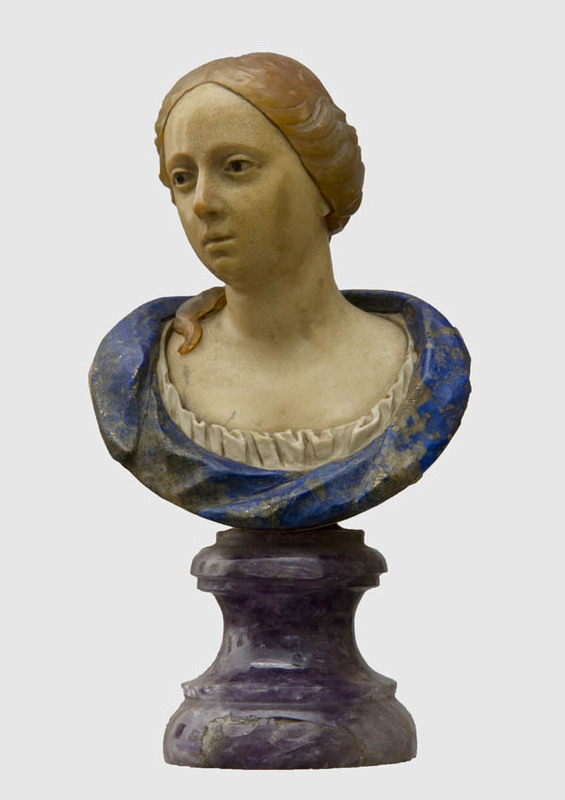 Female bust of amethyst, chalcedony, alabaster and lapis lazuli by Giuseppe Antonio Torricelli, Ministero per i Beni e le Attività Culturali, Rome. Perhaps no family embodies the ideal of the artists’ patron so well as the Medici of Florence. For almost 300 years, they funded the workshops of artists, goldsmiths, silversmiths and engravers, and steered the political fate of their city. The colorful history of the Medici in Florence will be illuminated this spring at Rice by experts including Wil McCorquodale, Ph.D., department of general education director and history instructor at The Art Institute of Houston, Louis Waldeman, Ph.D., associate professor of Italian Renaissance and Baroque art at The University of Texas at Austin, Helga Kessler Aurisch, Ph.D., curator of European art at the Museum of Fine Arts, Houston, and culinary historian Merrianne Timko. How do the generations of wealthy Medici continue their influence today? Among those dozens of artists was Michelangelo Buonarroti, whose career was secured by the interest of Lorenzo di Medici? Find out more about Michelangelo, the Medici and the culture of Florence starting February 12, 2013, in “Gems of the Medici.” This course includes a tour of the exhibition “Gems of the Medici” at the Houston Museum of Natural Science.